Finally, some good sailing! The trip to Cape Henlopen involved less than 30 minutes of motoring! Watching Ocean City fade to Bethany to Indian River to Dewey to Rehobeth to Cape Henlopen was facinating. A happy crew to Henlopen! 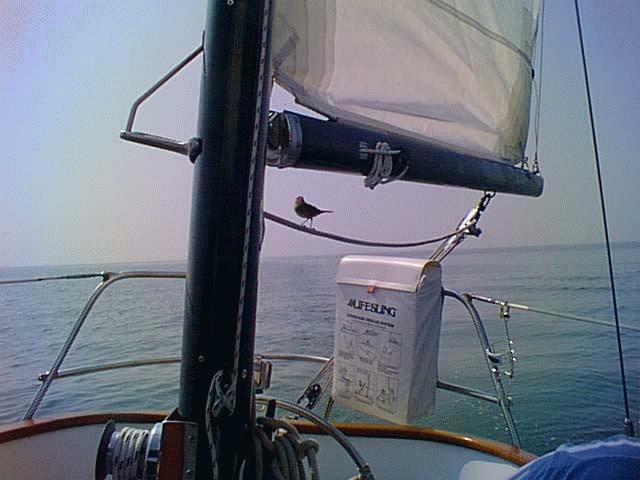 Our Stowaway: Tweety spent many hours with us to Henlopen. He got some "shut eye" before venturing back to shore. 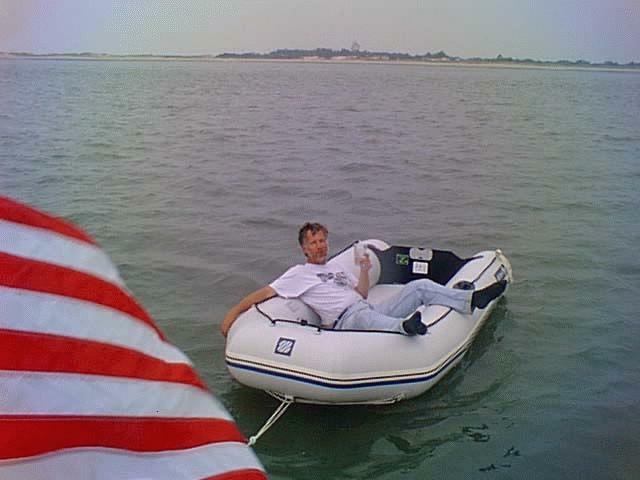 Dingy Boy: The Captain mellowing with cigar and drink in the dingy. The evil crew subsequently disturbed his well earned slumber. 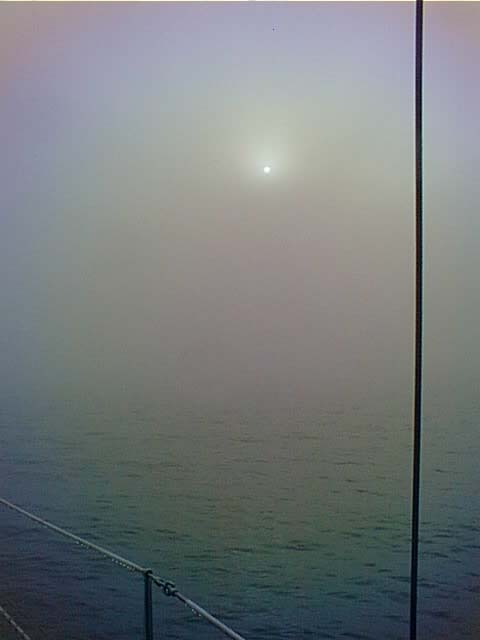 The Dreaded Fog: Drat! The fog delays are departure by four hours. Now the current will be against us to the C&D canal. 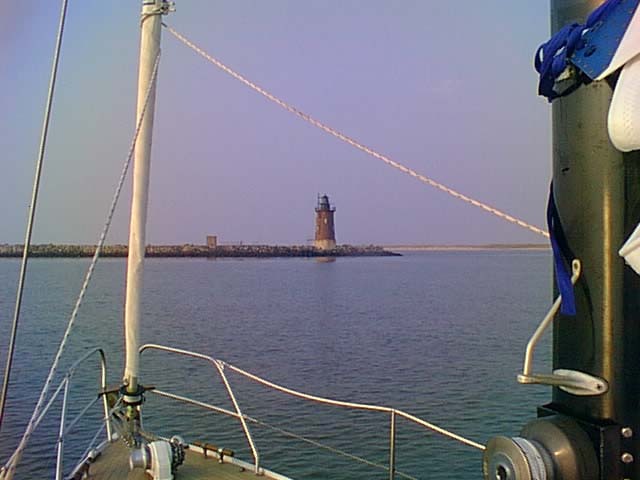 The Lighthouse at Breakwater Harbor: The same scene when the fog has lifted. Now we go up the Delaware.